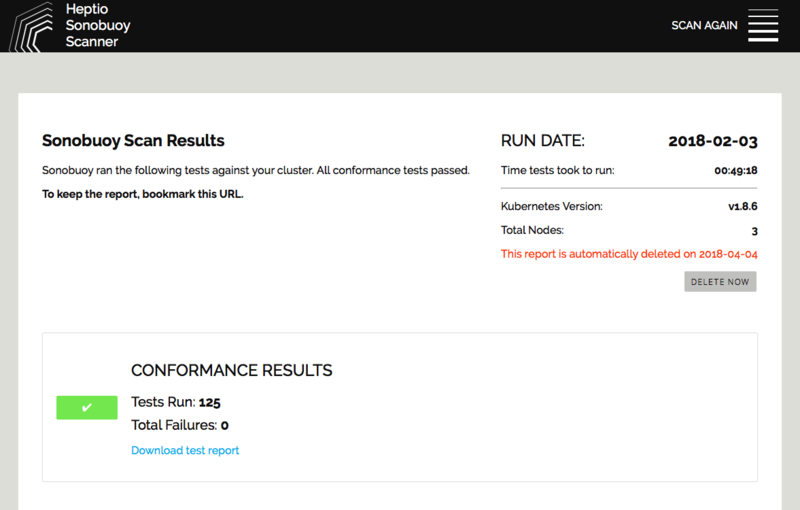 Heptio Sonobuoy is a diagnostic tool that makes it easier to understand the state of a Kubernetes cluster by running a set of Kubernetes conformance tests in an accessible and non-destructive manner. Heptio have come out with some useful kubernetes tools; sonobuoy being one. In this post, I will spin up a kubernetes cluster on AWS using latest version of kops (1.8) and test drive sonobuoy scanner tool. Rather than install kops and kubectl locally, I have published a docker image that you can use as a utility container. Alpine kops docker image includes kops, kubectl, terraform, aws cli and helm. The swiss army knife for kubernetes!! Before scanning the cluster, I will deploy a few applications. Bitnami have come out with kubeapps, to easily deploy apps on your cluster. Kubeapps is a Kubernetes dashboard that supercharges your Kubernetes cluster with simple browse and click deployment of apps in any format. This will start an HTTP proxy for secure access to the Kubeapps Dashboard and launch your default browser to access it. Using the "Charts" menu from the Dashboard welcome page I will select wordpress application from the list of charts in the official Kubernetes chart repository. Now lets install sonobuoy on the cluster and run the diagnostics. 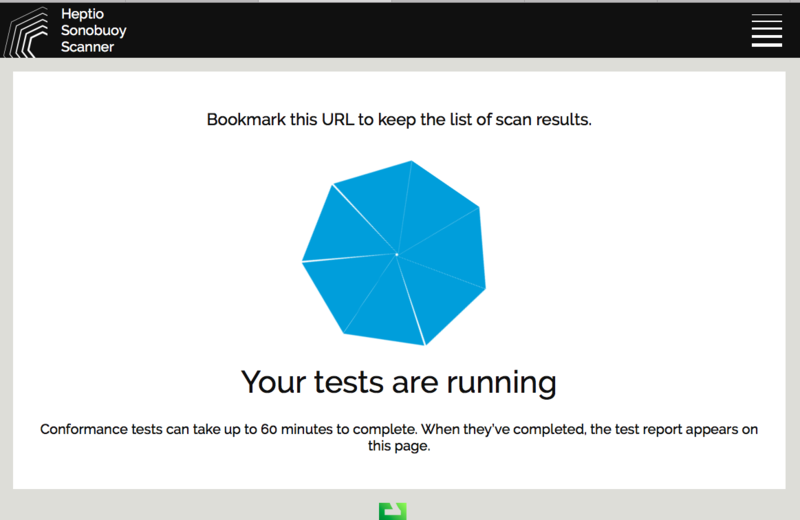 Once you run the command, you will see in the browser to see the conformance results. Once it finishes, you can download the results and keep the report by exporting as a pdf. All tests passed. There you have it!